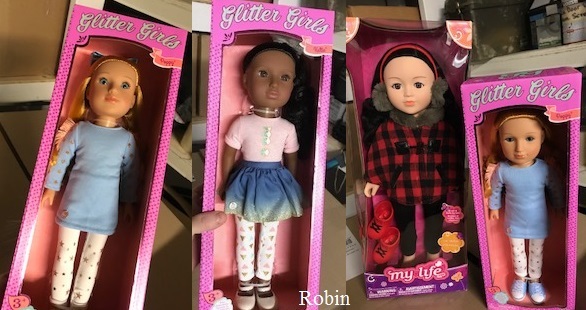 Here are the Glitter Girls, as well as some of their other 18-inch doll accessories that my girls will be getting for Christmas. 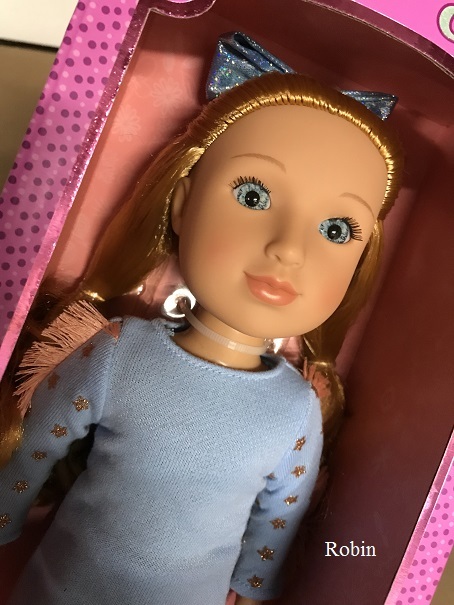 To compare the dolls, I put one of them beside the new My Life As skater doll that Quinn will also be receiving for Christmas. All of these items were purchased on sale. 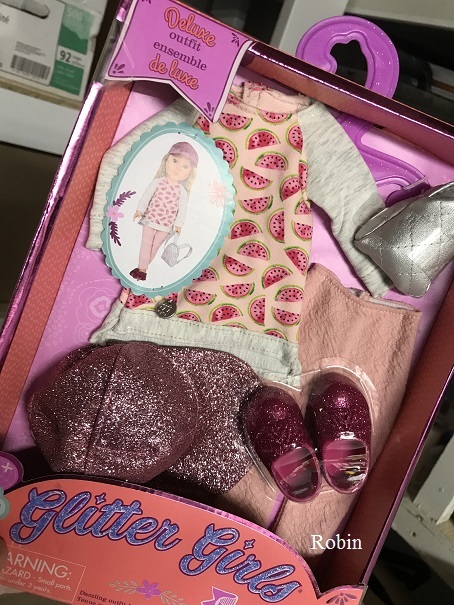 The Glitter Girl dolls are quite lovely. 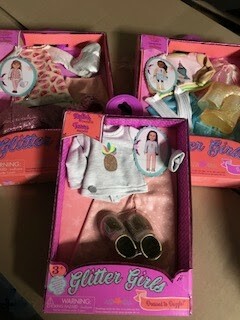 I purchased three dolls (one for each of my girls) and then a little outfit for each. 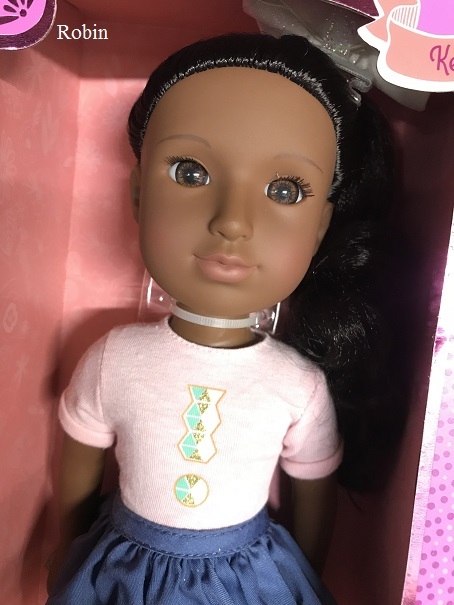 The regular price for the dolls is $29.95, but I got them on sale for $20 each. 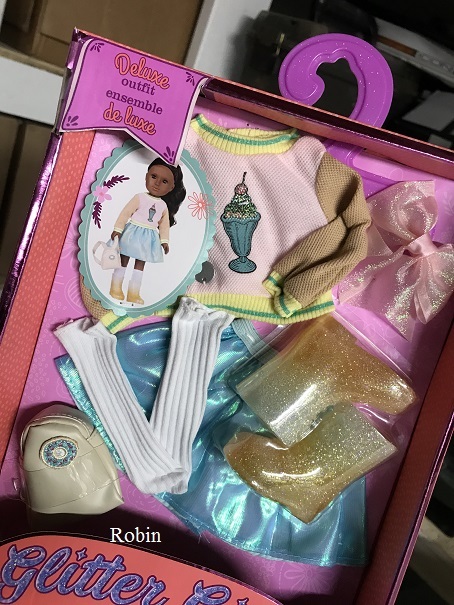 All of the dolls (and the clothes) come in open boxes like the OG dolls. Their faces are quite lovely. The eyes do not close, but they are beautiful. So are the outfits—all really well made and very similar to the types of clothes girls of this age would wear. And—there’s a bit of glitter in each outfit. This is Poppy who will be going to Brooke, as she has an affinity for redheads. This is Keltie, who Avery had circled in the catalogue and put on her Christmas list for Santa! And this is Fyfer, who will go to Quinn. 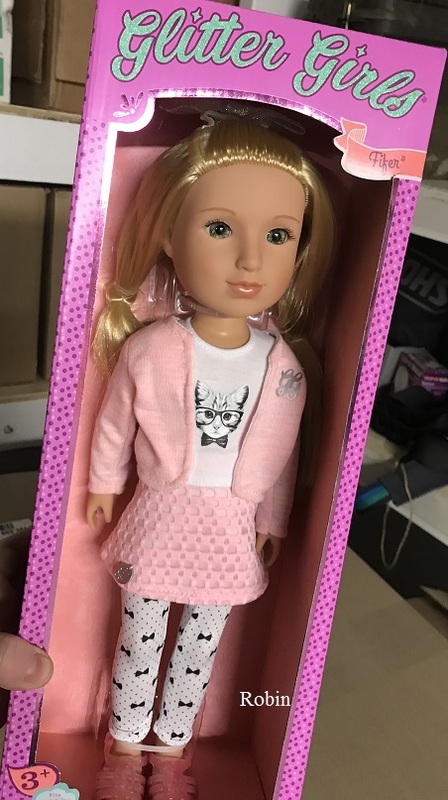 It will be here first ‘fashion’ doll of this sort. I chose one who looked like her. are these the same size of AG wellie wishes? 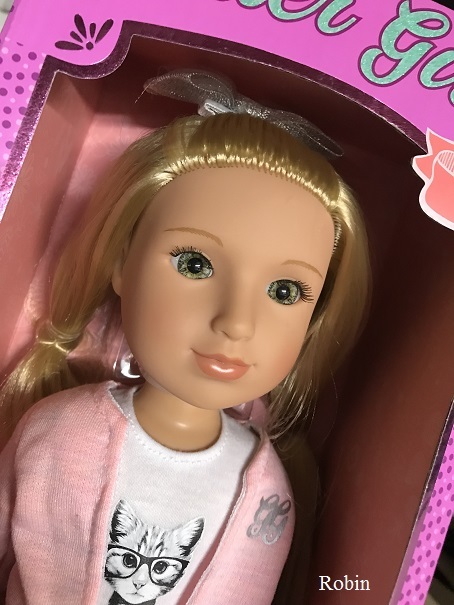 I am curious where this line of dolls is sold in Canada. Could you share that please? Thanks! Absolutely! Sorry so late! These Glitter Girls are available from Chapters Indigo (same location as Canada's American Girl shops). They are the same size as Wellie Wishers and can wear their clothes. My daughters love them! And a great price! !